Plus BELPHEGOR, DARKRISE and NORDJEVEL! 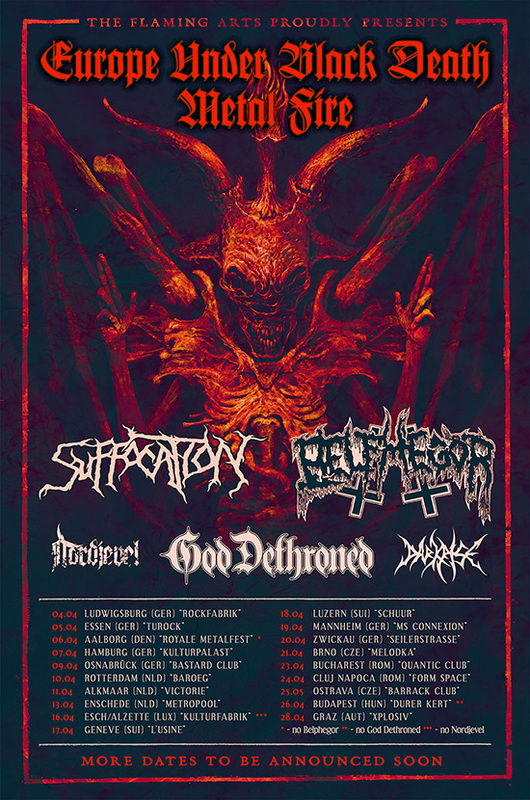 Dutch Death Metallers GOD DETHRONED will return to European stages in April for a full European run in support of American Death Metallers SUFFOCATION. Surf over to metalblade.com/goddethroned where you can check out music and videos from the latest album ‘The World Ablaze‘!